Product information "Racktime luggage carrier Talis Plus trunk bag berry blue / stone grey"
Lack of space? No problem! Talis Plus offers, apart from the large capacity of 8L, an extension by fold-out side pockets flexibly up to 7L. A Racktime Snapit Adapter is self-assembled. 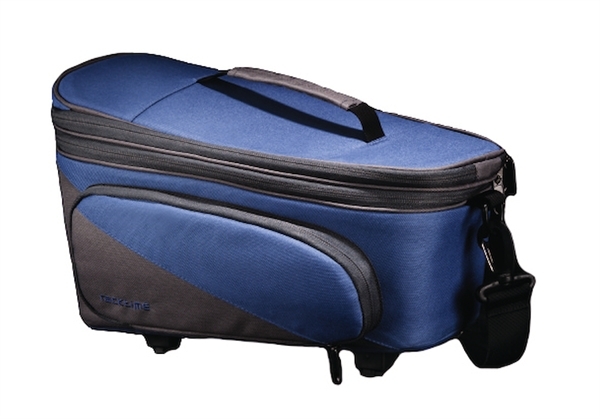 Related links to "Racktime luggage carrier Talis Plus trunk bag berry blue / stone grey"
Customer evaluation for "Racktime luggage carrier Talis Plus trunk bag berry blue / stone grey"